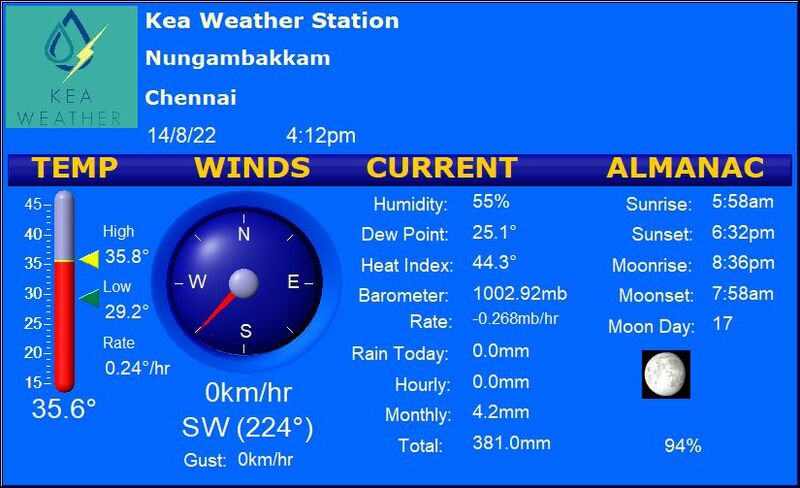 Tamil Nadu is set for yet another hot day amidst partly cloudy skies. Isolated places in Tamil Nadu could register light to moderate rainfall from thundershowers. Rest of South Peninsula continue to remain dry as monsoon winds have completely died down. But scenario in Central India is in stark contrast to the south where yet another seasonal monsoon system hurtles its way towards Odisha. Heavy to very heavy rains are forecast for parts of Odisha, Chattisgarh. Monsoon withdrawal from North West India will be delayed in view of aforementioned system.